• It is important to determine the reliability of lifetime diagnosis in a nonpatient population, for this type of diagnostic data and this type of sample are used in many genetic, epidemiological, and nosological studies. 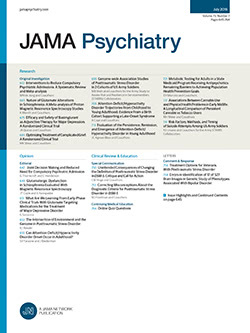 We examined the reliability of lifetime diagnosis when the Schedule for Affective Disorders and Schizophrenia-Lifetime Version and Research Diagnostic Criteria were used to interview ill and well relatives of probands in the National Institute of Mental Health Collaborative Study of the Psychobiology of Depression. Subjects were interviewed three times, so data are available concerning both short- and longinterval test-retest reliability. Short-interval test-retest reliability was excellent for both diagnoses and symptoms. Reliability was also quite high in the long-interval test-retest study. We conclude that it is possible to make lifetime diagnoses reliably in a nonpatient population.